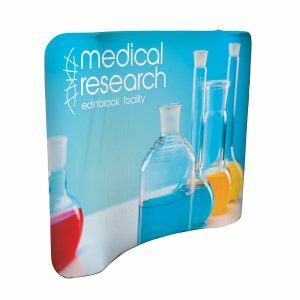 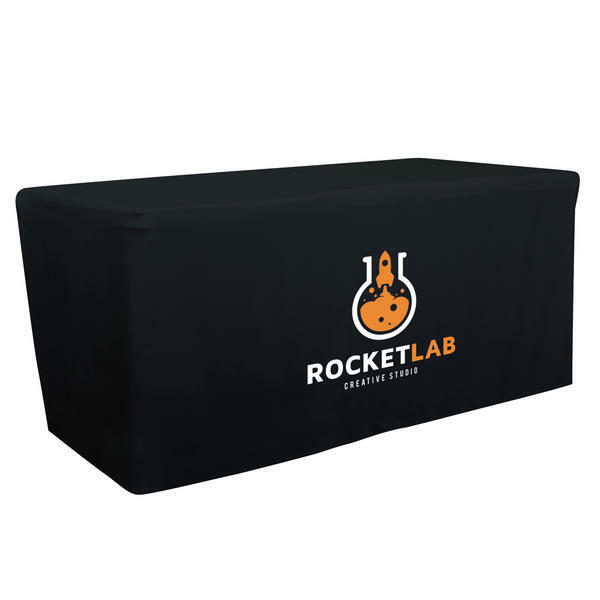 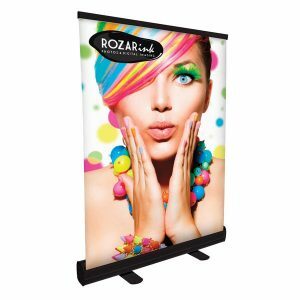 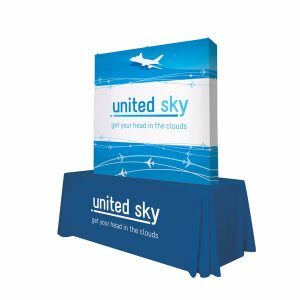 Trade Show Table Cover Runner - 57"
Tailored and fitted lines create a polished appearance at any event, showcase or outdoor fair. 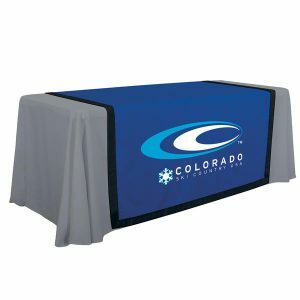 Covers each of the 4 sides of the table. Flame Retardant, made with Polyester Poplin fabric. 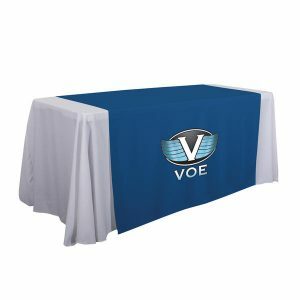 Machine washable and made with wrinkle resistant material.